“When a friend asked me if I wanted to buy a package to Buffalo Barre, the mere thought of exercising made my stomach turn. I had tried so many different types of classes over the years, and never found one that I enjoyed….even just a little. I reluctantly agreed to purchase a 5 class package, and it was the best decision I have made in years. Buffalo Barre has truly changed my life. Looking back a year ago, my health was not a priority. I had just started taking blood pressure medication and I was headed towards type II Diabetes. I had no energy to play with my children, my clothes no longer fit, and my confidence was at an all-time low. My health was out of control. That all started to quickly change when I decided to give Buffalo Barre a try. The instructors are kind, knowledgeable and truly create a judgement-free, fun, and supportive atmosphere. The members are all strong women, committed towards working on their individual wellness goals. Buffalo Barre has completely changed the way I think about wellness and self-care. I go because I like it. I go because I am the strongest I have ever been. I go because it makes me feel good. I go because I have lost 27 pounds, no longer need blood pressure medication, and I feel more confident than I have in years. Buffalo Barre helped put me on a path of personal wellness. A path that I never even knew I wanted or needed. I can honestly say, Buffalo Barre saved my life. I look forward to my continued journey with the support of Buffalo Barre. *Author of this email has chosen to keep last name private. Like it or not, Here we are. The Holiday Season has arrived. Seems to come earlier and earlier each year, or are we simply imagining it?!? Well, no time like the present to prepare to look (and feel) our best. One easy way to do this, is to incorporate more cucumbers into your routine. If you haven’t yet been convinced of their powerhouse benefits, check out this interesting article by Dr. Mercola. We hear you, some of you don’t like the flavor or texture of cucumbers. So, how about a refreshing drink instead? Add cucumber and lime slices to water. Garnish with mint leaves and enjoy throughout the day! If that doesn’t rock your world, how about adding (hiding!) some cucumber in your smoothie? With all the other yummy ingredients, you won’t even notice the cucumber. Just sip and enjoys the benefits. Place in blender. Enjoy immediately. Now let’s get to the good stuff, and get Party Ready! 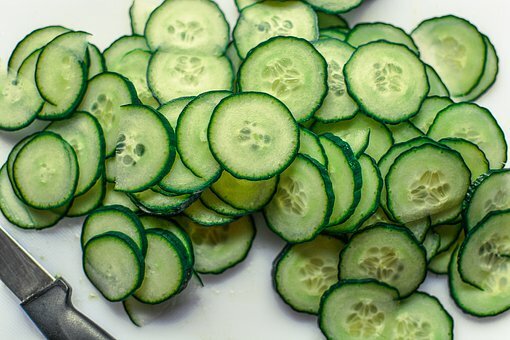 A painless, and deceptively simple way to really look your best is to add cucumbers to your beauty routine. Rather than the cumbersome use of cucumbers sliding off your face, Beautycounter has you covered. Included in their Holiday Collection, is the fantastic Instant Awakening Trio. This mighty trio does exactly what it says. 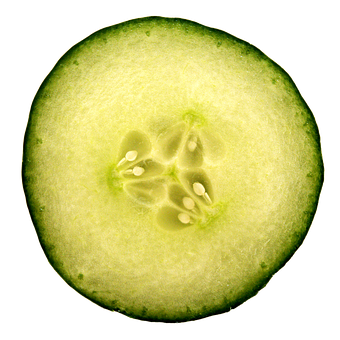 Using cucumbers as well as 15 botanically derived acids, to improve skin texture, minimize fine lines and generally give you a refreshed, holiday “Glow”. So pretty. A couple simple steps to reveal your Best Self! You can check out the whole, pretty Holiday Collection Here. We are available, should you have any questions or need any suggestions. Coco for Coco-nuts, part two! More evidence here to support the numerous benefits of coconut oil. This stuff is incredible!! We can go on and on for days about the benefits of adding coconut oil to your life. While that would be some good fun and games, let’s stick to the Big Topic. Hair. It’s always about the hair. Shiny, bouncy hair is analogous to health and vitality. We are always looking for safe ways to increase volume, and improve the texture of our hair. We’ve used many, many products over the years, thinking they would do just that, make our hair thick and luxurious. However, many products were filled with Sodium Laurel Sulfate, Parabens, even formaldehyde(!! ), so they actually had a detrimental effect on our hair, not to mention our whole bodies. Yikes. Enter Beautycounter. This company’s mission is safer beauty. To illustrate this, let’s chat about their Shampoo and Conditioner . Instead of using harmful, hormone-disrupting preservatives, which are much less expensive, Beautycounter uses an amino acid derived from coconut oil to provide gentle, broad spectrum antimicrobial preservative in both the shampoo and conditioner. The amino acid is plant-based, derived from coconut oil, non-toxic and provides guaranteed performance against bacteria and fungi. Being that it is from coconut oil, it also provides a moisturizing component, leaving your hair soft and silky. Win~Win! Thanks for reading. Should you have any questions, please feel free to contact us. This is the perfect Fall treat. Packed with flavor, protein and spices, this nutritious treat is gluten and dairy-free. Prep Time: 10 min. Makes 20 bites. 1. Pulse the oatmeal, almonds, and cacao nibs in a food processor until the size of small crumbs. 2. Add the remaining ingredients and pulse until well-combined and mixture holds its shape when pressed together. Do not over-process. 3. Roll the mixture into 1 1/2 inch balls. If desired, roll the finished bites in organic cacao powder, unsweetened shredded coconut or ground almonds. 4. Transfer to fridge to chill completely, then enjoy:) Store in refrigerator for up to one week. If you make these, send me an email (contactus@buffalobarre.com) or let me know in class how you like them! There are many, many benefits to incorporating coconut oil into your daily routine. Let’s take a minute to talk about the easiest ways to enjoy the benefits of coconut oil. First and foremost, let’s talk hair. I know many women, myself included, who struggle with their hair ~ it’s not as silky as is used to be, it’s not as thick as it once was, and it lacks the bounce and shine that it once had. I’ve tried numerous products, both internal and topical and have found that coconut oil consistently and repeatedly came to the rescue. Check out the advice of Dr. Axe, he’s got some terrific suggestions. A couple more reasons to add coconut oil into your life is for skin care: According to this study on effects of plant oils on the skin, coconut oil has been found to have anti-aging, antioxidant, wound healing, and anti-inflammatory properties. It has been successfully used to prevent dry, flaky skin. It helps speed up wound healing. The active component of monolaurin in coconut oil renders it anti-bacterial, anti-fungal and antiviral. Coconut oil reduces the severity of eczema and psoriasis. One more notable use…Drumroll, please…. it promotes Agelessness by delaying the appearance of wrinkles and sagging skin! Lastly, there’s no chance of any adverse side effects from the application of this oil to your skin. If this article spoke to you, and you are at all concerned with the products that you put on your face and/or body, we encourage you to check out Beautycounter. This company intentionally bans and rigorously screens ALL ingredients used in their products. You’ll be delighted to know that not only are you NOT harming your body, the products actually work. So fantastic. Speaking of multi-tasking oils, Beautycounter offers some fantastic facial oils that brighten, plump or balance your skin depending on your needs. The No. 1 Brightening Facial Oil won the “Best of Beauty” Award from Allure magazine in 2017, brings out your “glow”, No. 2 Plumping Oil is terrific for fine lines and wrinkles (yes, I’ll take two please! ), and No. 3 Balancing Oil is great for calming and balancing your face. Stay tuned for Coco for Coconuts, Part 2!! Thank you for taking the time to read this blog. Should you have any questions, concerns please don’t hesitate to contact us.